I’ve purposely avoided this topic for two years because it’s an uncomfortable thing to talk about. No one likes to talk about money and there are people in much worse situations than we are. But since September is childhood cancer awareness month, here is another thing to be aware of. I can’t speak for other families specifically but in the general sense it’s all the same. We are used to financial situations. When Scarlett was diagnosed, we had already nearly met her deductible with all of her specialist appointments, X-rays, ER visits…She spent five days at Children’s Hospital. They were pretty uneventful. Nothing too out of the ordinary for a new leukemia diagnosis. We got the bill about a month later. It was over $77,000. Thank goodness for insurance! For the rest of 2014, I kept really good track of what we paid for every appointment. My goal was to keep track of how much leukemia treatment cost and how much we actually paid. At the end of the year, less than four months into her treatment, I called the billing department to get a printout of her bills. They kindly told me that they didn’t have enough ink or paper to print a complete bill. They would have printed a book. We have spoken to social workers about programs to help pay for medical expenses. Unfortunately, we make too much to qualify for Medicaid. Our family is in that unfortunate bubble where you make too much to qualify for help but you don’t make enough to pay your bills. We are extraordinary grateful for insurance to help us pay but we still have a deductible to meet. So far this year, Scarlett has had nine monthly appointments and, for each one, we have had to pay $1000. There are so many other ways that we could spend $1000 a month. That doesn’t include medications, supplies, or gas to get to the hospital. On top of the actual monetary cost, families also have to worry about work time lost. When Scarlett was diagnosed, I took FMLA. But we quickly realized that it was just more logical for Brock to be the primary caregiver. He stopped traveling for work, cut his hours and stayed home with her when she was sick. This was absolutely necessary for the first year. Now that we are in maintenance and time is less demanding, it has been difficult for Brock to get back to work. The opportunities just aren’t there. So on top of spending more money to pay for medical bills, we are also earning about 75% less of his salary. From the very beginning, we sat down and talked about finances. We knew it was going to be a tough few years. We were going to have to give up a lot of luxuries and cut costs. We had already been doing that so we didn’t have much to cut. We don’t have “toys”, we don’t go out, we still wear clothes that we bought nine years ago. But we wanted to be sure to keep a little bit set aside for ourselves. When we were approached about having a benefit for Scarlett, we refused for a long time. We didn’t want to feel guilty if we went on a vacation and have people think that that’s what we used the money for. We didn’t want to be judged every time we bought something. It is a very difficult situation to be put in. We finally gave in and are so grateful to everyone that contributed. It allowed us to have that extra “cushion” of savings for an emergency – which we needed later last year for our flooded basement. And it allowed us to continue to put aside that little extra money to take a vacation this year. I guess the thing that I want everyone to know is that cancer is not cheap. It can destroy families for many years. When you see benefits for people, it’s just as difficult for them to accept money as for you to give. Even as treatment gets less intensive, the bills don’t. We are struggling more this year than we did in 2014 or 2015. Stressing about money just adds more stress to an already stressful situation. If money and illness are leading causes of divorce, it’s no wonder that divorce rate is so high in parents of children with cancer. The cost of treatment is a lot more than hospital bills. 1. 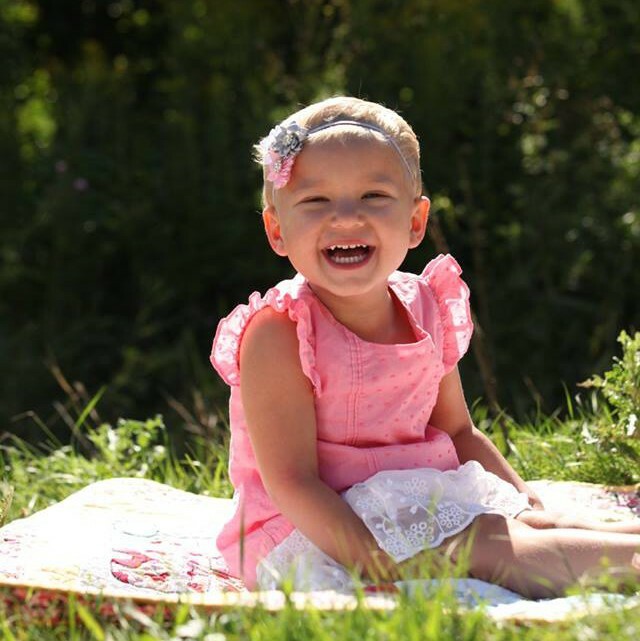 Before she was diagnosed, Scarlett was up to date on her vaccines. Because of when she was diagnosed, she has not missed any further vaccinations. We would have to do antibody titers to see exactly HOW protected she is but we will wait on that. 2. Exposure is an unknown variable. We know about this child. We don’t know about every kid at the park. Or the last kid to touch a cart at the store. Or about every kid in her gymnastics class. Since we know about this child, we can take extra measures to protect her. 3. For a four year old, Scarlett is an excellent hand washer. She’s actually an excellent hand washer for an adult! She remembers to do it and she does it well. 4. Their teacher is excellent. She began for Scarlett this summer and has precautions in place for her. I know that she will keep Scarlett as safe as she can. 5. In the future, we will not know about the status of their classmates. We do not know the vaccination percentage in Tate’s class. He is just as likely to bring germs home as Scarlett is. 6. Our friends, mothers of cancer fighters and survivors, helped me through. It opened up a topic of conversation and they talked me down from the ledge. They offered encouraging words and advice. 7. We want Scarlett to have some normalcy in her life. We want her to have a safe place to learn and experience. At some point, we have to get into a normal life routine. There was a lot of thought that went into this decision. We talked, I cried, we asked a lot of questions, we did a lot of research. It was not an easy decision. Just like our decision with radiation, we will never know if we made the right decision. If Scarlett doesn’t get sick this year, that’s great! If she does, we will second guess that decision forever. For the past four or five weeks, Scarlett has been complaining of abdominal pain. We didn’t know whether or not to believe her at first because it often came up when she was told to clean or it was time for bed. Nothing that we tried, including reading “The Boy Who Cried Wolf”, seemed to make the pain go away. After the “poop appointment”, Scarlett’s issue improved. The next week we decreased her methotrexate back down but the pain never went away. As soon as we increased her methotrexate again, the diarrhea came back. “My belly hurts” was heard a lot. At her regular appointment we discussed a tiered course of action. Increase her Pepcid to a full tablet twice a day. If that didn’t work, give a half tablet of Tums. If that didn’t work, give 1 mg of morphine and keep increasing up to 3 mg. we got to 2 mg before she was knocked out. And when she woke up: “my belly hurts”. Last night, Scarlett took her puke bucket to bed with her. When I gave her her meds, the bucket was next to her head. She awoke in the middle of the night crying and slept with us. This morning, we had trouble waking her and our breakfast eater wouldn’t eat. So back to clinic she went. It is our guess that the diarrhea has killed both the good and bad bacteria in her gut. We will change her Pepcid to a stronger medication for stomach acid and give yogurt twice a day. We will also eliminate dairy for the next two weeks. It’s going to be a long two weeks for our cereal, cheese and milk junkie. Our other problem today was with her blood draw. After being accessed, the nurse couldn’t get a blood flow. Her port is failing. This is the third time in less than six months that she has had to have CathFlo to open her port. The port has reached its life expectancy and is puttering along for the last few months. We are going to push that thing right to the end of treatment. Scarlett wants to keep it after they remove it! Even as we deal with problems with school, the world still turns. Life does not stop and we aren’t limited to one problem at a time. Life doesn’t stop for cancer. This week, Scarlett was blessed with two appointment days in a row. Wednesday was her four year well check. Since her pediatrician only sees her once a year, she was amazed with how great Scarlett looked. Her check up was great and Scarlett is really growing! Even with everything going on, Scarlett is still in the 26 percentile for height and 45th for weight. We got Dr. C’s opinion on Scarlett’s feet and her chin rash. We will try a new medication her feet. However, at this point there is no way to tell whether her chin rash was shingles. It was another opportunity for us to thank Dr. C and Dr. H for everything they did to diagnosis Scarlett. Dr. C cried along with me as we recalled those long six weeks. It is a time and a relationship we share that no one else will ever understand. Today’s appointment was with her oncologist. As we prepared, Scarlett was aware that she could not eat beforehand. She packed herself a snack, her blankie and her big phone. The whole ride there was pretty quiet. She loves being with Child Life and the nurses but she completely understands. Every once in a while, she climbs up on my lap, grabs her blankie, buried her head in me and sits very quietly. She stops answering questions and talking when she knows a poke is coming but she always cooperates. Scarlett’s labs came back very good today. Her Hgb was higher than I remember at 11.9. Her platelets were stable and her ANC was 2000. Still a little higher than we want so we knew would increase one of her medications. I spoke with Dr. H about my laundry list of issues this month. The most recent is a new rash that developed on her hands yesterday. Dr. H’s first thought is hand foot and mouth. Ugh! Every time we plan to send the kids to Nana and Papa’s house. We are waiting to see her pediatrician tomorrow morning to know for sure. A diagnosis is not necessary as there is nothing to do but it may dissuade her oncologist from admitting her for a fever. Update: we saw the pediatrician and it was NOT hand foot and mouth! Our plans for this month are to increase the methotrexate dose back to 125% and see what happens. If she tolerates it, great. She’s back on schedule. If she gets sick again, then we know she can’t handle any further dose increases of that and we will increase her mercaptopurine. In the next month, we will be cheering Nathan Stoffel in the Ironman Wisconsin (which he will do in Scarlett’s honor) and Scarlett will be starting school. This is a big change in our lives. It is the first time that she will be in a big group on a regular basis. We pray for a healthy school year and no sickies!